It may not have been a successful night for England at the World Cup, but there was plenty to celebrate for Falmouth School students at the Summer Commendation Evening. Students in years 7, 8, 9, 10 and 12 were recognised for a term of hard work across the evening’s five categories; Communications, STEM, Humanities, Performance and College. There was also the much coveted Student of the Year and the Significant Contribution Awards. In each category students received awards for either superb attainment throughout the term, or excellent progress, with awards handed out to Lower (years 7 and 8) and Upper School (years 9, 10 and 11) students. In the first category of the evening it was Ella Richardson, Isabella Munden, Alex Munden, Max Thompson (all progress) Luke Dobson, Emily Parks and Matthew Weir (progress) who collected the communications awards. The next awards were for STEM, which covers science, technology engineering and maths, with Emmi Myers, Adam Beall, Adam Forbes, Chloe Kitto (progress), Gabriel Higgins, Brendan Townley and Hannah Bowen (attainment) the winners. Next to pick up their awards, were Faith Coyne, Ryan Gay, Lily Mills (progress), James Chambers, Lauren Heidstrom, Sam Hammond and Tegan Underwood (attainment) in the humanities category. There was a brief break from the award categories, as Georgia Hawkins was presented with the Significant Contribution Award for her superb year and an astonishing representation in so many different sports at such a high level. Back to the awards categories and for performance, it was Josie Robinson, Harry Campbell, Thomas Trebilcock, Katie Farrow (progress), Lydia Kirkpatrick, Freddie Reid, Hannah Marsh and college student Kiran Partington-Nash (attainment) who were celebrated. Falmouth College students Milliesha Vanstone, Rob Brown and Zack Amos all received awards for a superb term. The main event of the evening was of course the Student of the Year awards. 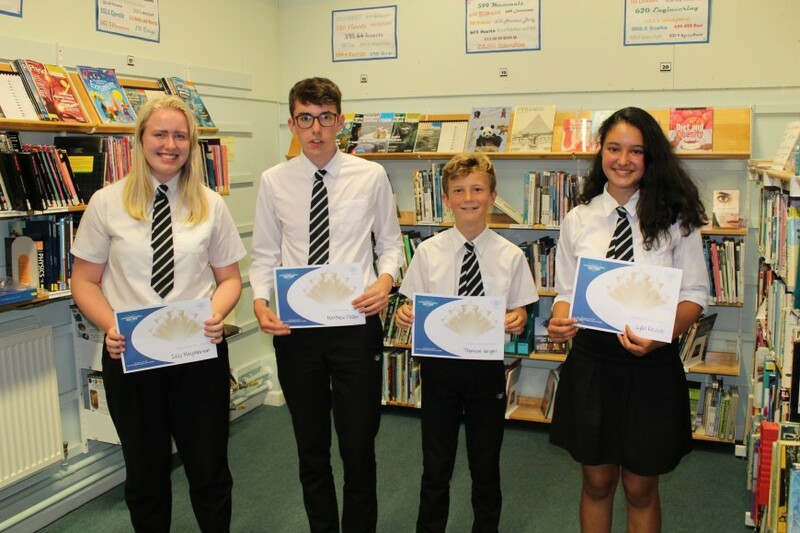 The awards went to Thomas Wright (Year 7), Lyla Reade (Year 8), Matthew Pellow (Year 9), Izzy Macpherson (Year 10) and Hannah McMillan-Pardoe (Year 12), who received an amazon gift voucher. With fewer than 40 award winners from around 800 students at Falmouth School, it shows how well all students did to receive their awards on the night, especially for the five Student of the Year award winners.